Even if you live in a small urban or suburban space, you can still start a mini hydroponic garden. DaisyFresh’s revolutionary self-contained hydroponic garden kit comes complete with four pots, a recirculating submersible pump, float and irrigation tubing, plus nutrients and growing medium all for R645.00 (all you’ll need to purchase is a bag of gravel to support the stack stabiliser in the nutrient tank). Also included is an instruction leaflet explaining how to correctly mix nutrients, how to deal with plant pests and diseases before they arise, and how to keep your plants in tip-top condition year-round. This unique concept is patented worldwide by Verti-Gro Inc. of the USA and the pots are made under licence in South Africa from high-grade polysterene, which can be sprayed with acrylic in any colour finish. DaisyFresh’s home hydroponic kit will make a useful addition to any home or garden. Taking up as little space as it does – under a square foot – you can grow fresh herbs, salad greens or flowers (any plant whose roots can be accommodated in the pots) in a kitchen, apartment balcony, small patio, sunroom, or atrium…anywhere, really, as long as it receives enough light. The four pots of this clever little system translate into 16 plants or 32 small herbs – which means you can have pretty flowers to look at or fresh herbs on hand at all times! Maintenance is minimal – you can even fit a time clock to it for automatic watering – all you have to do is keep the water level up and replace nutrient water every fortnight. Enjoy the satisfaction of growing plants without the fuss of digging, planting, fertilising and watering! No soil required. To get your hydroponic home garden, get in touch! 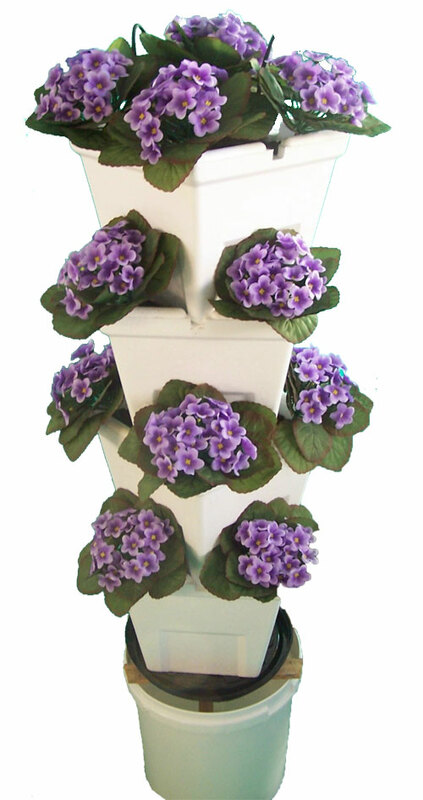 Order your hydroponic kit today. Enjoy the satisfaction of growing plants without the fuss of digging, planting, fertilising and watering! No soil required.